My art is a meditation on Nature. 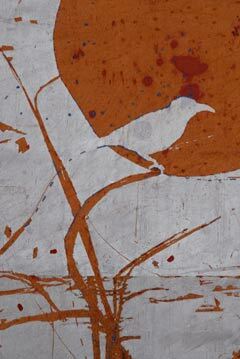 From garden, wetlands and woods I gather the raw materials I use in creating my Soft Paintings. 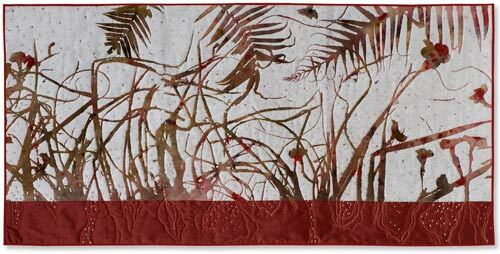 These imaginary botanicals and abstracted landscapes are begun by painting and printing in multiple layers on un-stretched silk or cotton canvas. With machine and hand stitching I then work into surface of the painting. Marks made by my hand, brush and stitch interweave with natural forms from the earth to communicate an important philosophy of co existence in harmony with nature. My goal is to create an evocative artwork that nourishes mind, eye and spirit in equal measure.